For decades, Kidney Care UK (previously the British Kidney Patient Association) has been making grants to improve life for people with kidney failure. But the charity wants to do more, and the team asked us to work with them to create a brand that would allow them to champion support for kidney patients for many decades to come. Kidney failure rips freedom out of life. Thousands of people in the UK are trapped in a cycle of dialysis, living their lives in hospital beds receiving treatment that dominates who they are, what they can do, and their relationships with the people around them. The British Kidney Patient Association was set up to make life better for kidney patients, but after decades of handing out grants, it had ambitions for something bigger. The charity wanted to help kidney patients take control of their lives, giving them the support they need to tackle everyday life with kidney failure. We were brought in to create a brand that would put this vision into practice. Kidney charities suffer from limited awareness, compounded by conditions that leave patients exhausted and unable to drum up the energy to find out more. This exhaustion makes navigating the mechanisms of the NHS even harder, and the constant presence of dialysis means many patients feel cut off from the world around them. Using co-creative workshops and audience research, we built new messages designed to catch patients’ attention, speaking to their desire for emotional as well as practical support. By learning about the help kidney patients really need, we guided the charity to prioritise new services, positioning it as the natural source for support in a sector with few avenues for help. 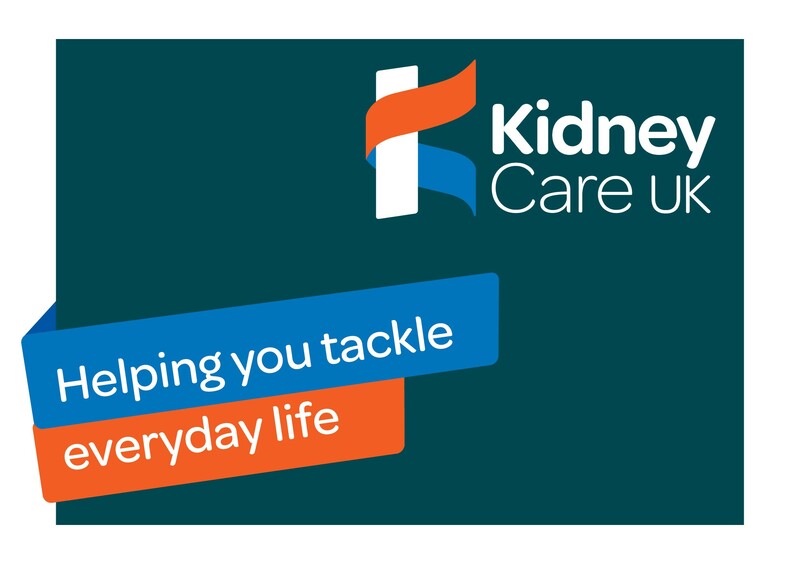 Now, alongside its grants and policy work, it has a telephone counselling service up and running, and an advocacy service which stretches across the UK, offering advice and help for the challenges of living with kidney failure. Connecting these threads, Kidney Care UK is now defined by one powerful goal: making sure no one faces kidney disease alone. We found the charity’s previous name, the British Kidney Patient Association, was hindering its ability to make change. Local kidney patient associations abound throughout the UK. The old name was both confusing and misleading, implying patient-led, peer-to-peer support, rather than the hands on help the charity actually provides. The move to Kidney Care UK is a natural shift, giving the charity room to grow into its new services while creating clarity over what the charity stands for. For its bold step forward, Kidney Care UK needed a visual brand that helped it step away from the past. Its new brand is warm, bright, and supportive, a ribbon of help for conditions so often left behind by charities and health services alike. Inspired by the mechanisms of the kidney itself, the ribbon suggests an active and compassionate approach to support: a visual expression of what Kidney Care UK represents. The strong colours and bold design also create room to inspire action. The brand has a dynamism and energy which can catch an eye on anything from a hospital pamphlet to an army of fundraisers, drumming up support for the cause. After 40 years of improving the lives of people with kidney failure, Kidney Care UK is now stepping into the future as the beacon of support for a community that deserves a champion. Marcus is a strategy and research consultant at Spencer du Bois. He likes nothing more than helping charities find the right words to champion their cause.